When it comes to money there are a ton of ways to save and live a more financially fulfilling life. What works for me won’t necessarily be a good fit for you and vice versa. With that said, there are some key financial principles that I believe in and that have helped me build a solid financial footing. Check out my strategies on how to make your money work for you. I’m a firm believer that it is so much easier to front load your life while you’re still young. The earlier you can get started saving and investing, the less you’ll have to do later on in life. This works out well since you’re ambitious and able to work hard and live on little when you come out of college. If you’re currently in your 20’s or 30’s, it’s better to go ahead and do what you can to lower your expenses, increase your income, and start investing. You’ll be so grateful you got this head start in twenty to thirty years from now. Front loading your life is the key to building long term, sustainable wealth. Remember, there is one thing that nobody can change – time. Compound interest, one of the key drivers in building wealth, is based on time. Millennials have a unique advantage in this respect because they have more time on their side than anyone else. Living below your means is the first thing you need to do to build wealth. You’re never going to be able to save money if you’re spending every dollar you make, and then some. If you focus on adopting frugal principles, concentrating on lowering your biggest expenses, earning more money, and saving or investing the rest, you create lifelong habits that will allow you to have a financially strong future. It’s also important to realize that living below your means does not mean self-deprivation. It means spending your money in the way that brings maximum value to your life and cutting back in the areas that aren’t adding value. This will look different for all of us – and remember, it is a two-sided equation: income – expenses. Yes, I live below my means, but I also focus a lot on boosting my income by side hustling. Diversification is another key to strong personal finances. I not only diversify my investment portfolio, but I also diversify my income. In addition to working my day job I also have several sources of side hustle income. Because my income is so diversified I know I can survive financially if one income source was to be completely cut off. I’m a believer that everyone can earn multiple streams of income – even if it’s only $100 per month. That extra $100 can go a long way to boosting your savings. The whole point of spending less than you make is to be able to save and invest the rest. I started investing at a relatively young age and have continued to do so. Compound interest is a powerful force and the sooner you start investing the sooner you get to reap its rewards. Investing is how you make your money work for you! 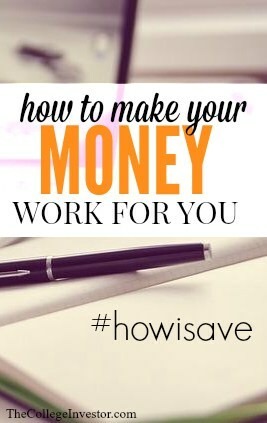 In addition to physically putting my money into savings I also look into saving on my everyday expenses. There’s always room to lower your budget, right? I totally agree with the concept of front-loading. I’d take it a step further and say that front-loading applies not only to investing–which is sort of common knowledge–but front-loading expenses is also a path to big savings. Like, front loading your car insurance payment to take advantage of a lower rate, front-loading your mortgage to attack principal early, or front-loading energy cost-saving measures like efficient light bulbs, insulation, or solar panels. The theme is the same, early investments (on either side of the ledger) yield big returns later down the line.